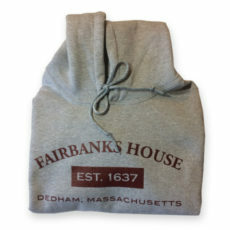 Navy fleece vest with the image of the Fairbanks House embroidered in white. Form flattering cut in 12.8 oz. 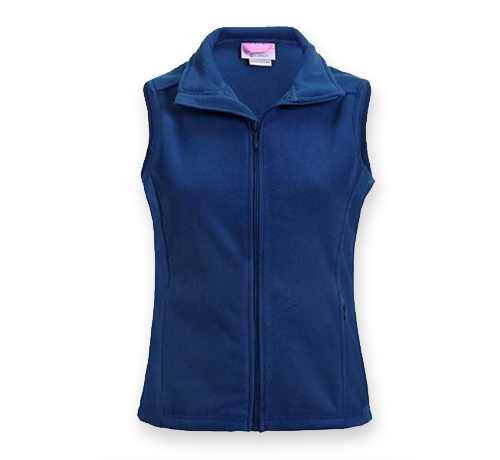 brushed micro fleece. Sizes XS, S, M, L & XL. Made in America.